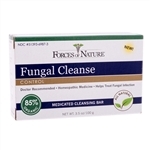 Eradicate the fungus causing ringworm. Value Size. Ringworm is a fungal infection of the skin similar to the infection which causes athlete's foot. However, it is caused by a different fungus located elsewhere on the body, often on the head. It is called ringworm because it is usually round or oval with a raised border, like a ring (it can however vary in its appearance), but there is no worm under the skin! It tends to be slightly scaly with a clearer center. There may be only one spot, or multiple spots, which often seem to "connect" with each other. It may or may not itch. It is acquired from close skin contact with other infected people, or from infected animals, especially young kittens and puppies. 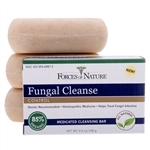 Transmission of the fungus can occur by direct skin-to-skin contact with infected people or pets, or indirectly by contact with items such as barber clippers, hair from infected people, shower stalls or floors. The scientific name for ringworm is Dermatophytosis. Since fungi are everywhere in our environment, it is difficult to determine which pets will develop the problem. The fungus that causes Ringworm can be cultured from the hair coats of normal dogs and cats. These pets might be carriers of the disease to other pets, and might even transmit the disease to people. The problem is more prevalent in young animals and those with compromised immune systems. People will sometimes pick up a case of Ringworm from their pet, but just because a pet has Ringworm does not necessarily mean that the people that interact with that pet will develop the problem. A dog or cat can transmit Ringworm to a person without showing any symptoms at all. 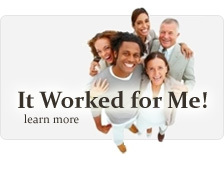 Ringworm often causes hair loss, usually in small patches at first. As time goes on the patches may disappear or appear at other locations on the skin. There might be scratching due to itchiness. If the hair loss occurs on the face or feet there is a chance it is due to digging habits or exposure to rodents. Ringworm of the scalp usually begins as a small pimple which becomes larger in size and leaves scaly patches of temporary baldness. Infected hairs become brittle and break off easily. Occasionally, yellowish cuplike crusty areas are seen. 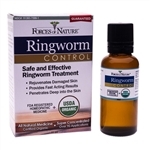 Ringworm is a highly infectious fungus. As a result, you may want to throw away any combs, brushes or hats your child has used. The spores of ringworm fungus are found primarily in the soil and around people or animals that have the disease. If your children develop ringworm, they're not alone. Up to 15 percent of American children under the age of 10 will develop ringworm. It doesn't reflect on your parenting skills or the cleanliness of your home.